If you are searching for the best guide around Ireland, then we are here to help you out. Sharing with you all the best places to visit in the beautiful country of Ireland, as told by an Irish travel blog. If you are interested in Irish culture, tourism, history and attractions then you’ll find it all here. We make travelling around Ireland more fun, telling you all about the hidden gems and must-see attractions as told by an Irish travel blog. For such a small place Ireland is full of unmissable beauty, charm and history that we want to help you explore. There are 32 unique counties in Ireland and we have covered a lot of what each place has to offer. Every place you visit in Ireland offers you something uniquely different that’s why Ireland is an amazing place to visit. Use our Ireland travel guide to help you plan an amazing trip to Ireland. From Northern Ireland to the Republic of Ireland we have the whole island covered. You can also check out our other travel blogs guides on Northern Ireland, Dublin, Belfast and London. Before we fill you up with all the great things you can see and do in Ireland, we thought it would be helpful to provide you with some tips and advice before setting out on your Irish Adventure. Especially if you have never been to Ireland before its important to know what to expect. One thing that Ireland is renowned for is having rainy, cold, overcast weather. So before setting off to Ireland its important to pack the right clothes for your trip. That doesn’t mean when you arrive in Ireland that you won’t have a gorgeous sunny day but the weather is so unpredictable that its best to pack for both. But mostly if you’re travelling to Ireland over the autumn and winters months your coats and scarfs will be needed. Summertime in Ireland can either go two ways; one it will be clear skies and sunshine or you’ll get lots of rain. So make sure to pack a raincoat just in case and maybe a pair of shorts. Although it is fun and exciting to just head to a new country without a plan in mind, I recommend taking the time to plan your trip, so you get the best out of your Irish adventure. Make time to check out all the amazing cultural attractions in Ireland because there are many. From the historical castle to a unique landscape on offer, you’ll want to explore it all with the time you have. This is important advice for your Ireland travel guide as you don’t want to miss out on the best of the country. Although it might be nice to spend your time in some famous pubs I highly recommend exploring the heritage and culture of Ireland. This is why it is a wise idea to plan your trip; as many of the different attractions have limited open hours or need to be booked in advance. So its good to plan what you would like to see and do in Ireland before arriving. Our Irish travel blog tip for you is to take full advantage of the many different trips and tours available when you arrive in Ireland. This is one of the best ways to explore Ireland, meet local people and learn about the amazing country. Whether you are visiting Dublin or Belfast, each city has its own tours available for you. Many places will do bus tours of the city. Taking you around the main attractions, a chance for you to hear about each cities history. If you’re new to the country this is a fun way to explore and learn at the same time and it makes it easier for you. There are also plenty of day trips available – perfect for people who don’t want to drive while visiting. Take advantage of these day trips, you’ll experience more by doing so. Ireland may have a wealth of culture and heritage but you will also be impressed by the amazing selection of food and drink on offer. The Irish food scene is incredibly from fine dining to cute cafes you’ll find it all here. We have award-winning restaurants and chefs that make sure you taste some of best food possible. And no it’s not all potatoes dishes, you’ll discover a variety of options from meat, fish and vegetarian options. Ireland is a place that caters for all, a place that prides themselves on using the best of local produce. There are delicious Irish delicates that you must try such as an Irish Fry or traditional Shepherds Pie. This is one of our Irish travel blog tips – trying traditional Irish food is a must. Expect to enjoy some amazing food on your trip to Ireland. Ireland is small in comparison to the much bigger tourist destinations but what makes this good is that you can take your time and enjoy what Ireland has to offer. You can hop on a bus and be in a new city or town in less than an hour. It’s not like America where you’d spend 3/4 hours travelling before you get to a new place. So take your time travelling around Ireland seeing all the big attractions as well as the ones that aren’t as popular. Appreciate all that Ireland has to offer. Anyone who is interested in Ireland will know that the island is split in two; Northern Ireland and the Republic of Ireland. Before travelling its important to understand what this means. One you will need to use two different currencies. In Northern Ireland they use pounds and in the Republic of Ireland, they use euros. Our Irish travel blog tip is to come prepared with both because most likely you’ll want to head north and south and explore what each place has to offer. Although the majority of the people in Ireland speak English, they have their own unique phrases and words that are used a lot. And the fact that Irish people are fast talkers, the combination of both might be difficult for visitors to understand. So don’t be afraid to ask what something means or to repeat something because most of the time Irish people are friendly and will love to fill you in on Irish lingo. You’ll end up going home and finding yourself saying the phrases to others. There are 32 counties in Ireland that all offer something different for those visiting. As important as it is to visit the popular counties, the smaller ones also are pretty special. We have put together our Irish travel guide to counties you must explore when visiting. In terms of area County Cork in the biggest county within Ireland. County Cork is an amazing place to start your Irish travel, with a variety of interesting place to visit and its home to one of the oldest cities in Ireland. A fascinating history can be explored here. So to really soak up the best of County Cork we recommended staying here for about 5 days that should be enough time to visiting all different towns and attractions found there. We have a whole Irish travel blog guide dedicated to County Cork where you can find out more on its history and unmissable things to see and do. 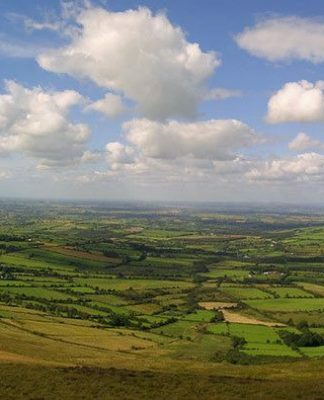 Then we have the biggest county in Northern Ireland, the picturesque destination of County Antrim. Antrim should definitely be on your list of Counties to visit in Ireland. The county has a brilliant mix of heritage and amazing scenery. One of Antrim biggest draws is Belfast City, the capital city of Northern Ireland. Beyond Belfast, there are many other great places to explore in Antrim including Portrush, Carrickfergus, Portstewart, and Rathlin Island. 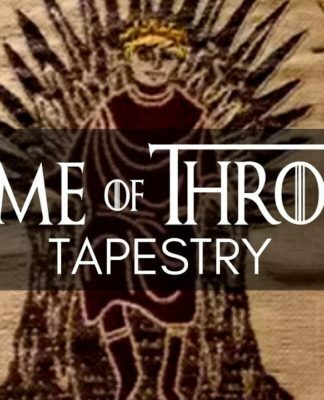 If you’re a Game of Thrones fan then you’ll know that a lot of the series is set in areas around Antrim. So this is a great opportunity to explore all the filming locations of the show when in Antrim. We have a whole Irish travel blog guide dedicated to County Antrim where you can find out more on its history and unmissable things to see and do. Sligo may be one of the smallest Counties in Ireland but it still has so much to offer those visiting. The beauty of Sligo is second to none and you’ll realise this when you get there. County Sligo has been long renown for its beautiful landscape and scenery. It is also one of the best places for surfing in Ireland. So if you fancy trying a new sport this is the place to do it. The County has also been referred to as Yeats Country as the brilliant Irish writer William Butler Yeats spent much of his childhood here. He was inspired by the surrounds of Sligo and you will too once you visit. We have a whole Irish travel blog guide dedicated to County Sligo, where you can find out more on its history and unmissable things to see and do. Next is the beautiful County of Donegal that you must add to your Irish adventure. 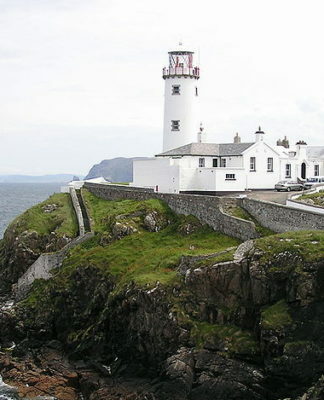 The county is located on the rugged North coast of Ireland. 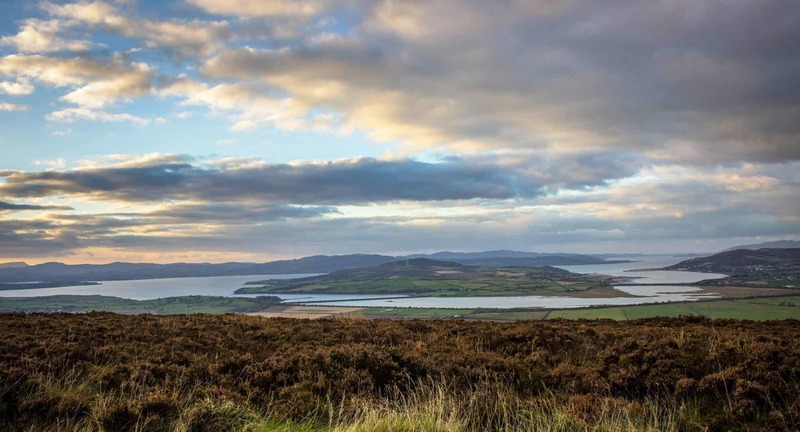 Donegal is the perfect place to head if you’re looking to escape and enjoy your surroundings. The county is surrounded by wild landscape, coastlines and country roads. It has a more relaxing feel to it than other counties in Ireland. It is personally one of my favourite places to visit. If you’re looking for the perfect seaside getaway you’ll find it in Bundoran. We have a whole Irish travel blog guide dedicated to County Donegal, where you can find out more on its history and unmissable things to see and do. 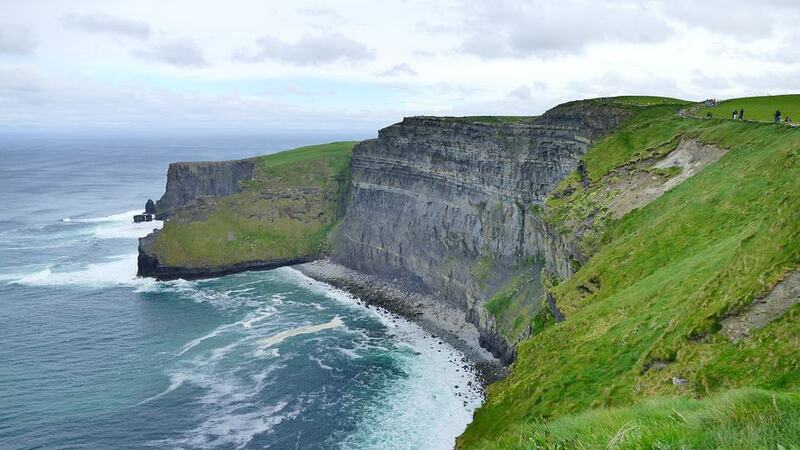 Another unforgettable county that you must visit in Ireland is County Clare. Clare offers more than meets the eye. The scenery you will uncover here is magnificent, it is also home to the biggest tourist attraction in Ireland, the Cliff of Moher. Coming to County Clare just to see the impressive Cliffs is a good reason but you’ll stay once you uncover its other hidden gems. A place that is fortunate to have many areas of great natural beauty and sandy beaches. We have a whole Irish travel blog guide dedicated to County Clare, where you can find out more about its history and unmissable things to see and do. County Galway is one of the most authentic Irish places to be explored. 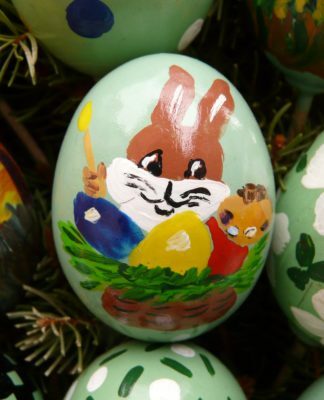 It is rich in heritage and culture as well as offering you the best of the west of Ireland. The place is bright and enchanting, home to one of most visit cities, Galway City. The City of Galway will be the European Capital of culture in 2020. So this is definitely the time to experience all that Galway has to offer. We have a whole Irish travel blog guide dedicated to County Galway, where you can find out more about its history and unmissable things to see and do. These are just some of our favourite counties in Ireland but we have covered many more on our blog from County Wexford, County Carlow and County Limerick are just a few more for you to check out. Now that we have covered the must-see counties in Ireland, time to narrow down our favourite cities and towns to add to your Irish adventure. There are many amazing cities that can’t be missed when visiting Ireland, some you will have heard of and others not so much. But they all offer a different experience, their own charm and history that you’ll be excited to uncover. 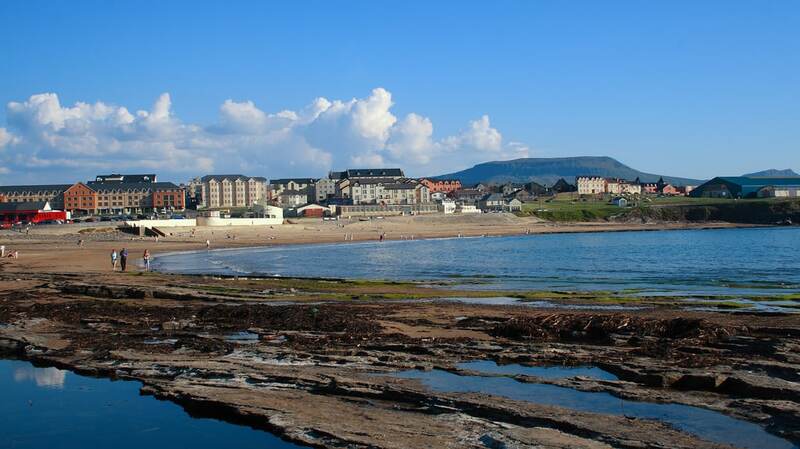 First, at the top of our list of the places to visit in Ireland is the gorgeous seaside town of Bundoran. If you’re looking for a fun, relaxing and vibrant place then you’ll find all three in Bundoran. It is the perfect place if you’re looking for a more activity based trip in Ireland brilliant for watersports and horse-riding. It’s also nicked named as ‘Fundoran’ by locals and tourist alike as it’s a really a fun place to spend your time in Ireland. For such a small town is offers so much to see and do. Bundoran is a very family friendly destination so its perfect if you’re travelling to Ireland with family. It is home to one of the most popular festivals in Ireland, ‘Sea Sessions’. Sea Sessions usually takes place in July/August where can enjoy music, camping and surfing. The festival has seen many famous music acts such as Kaiser Chiefs and Bastille. This is a great time to visit when the festival is on as the atmosphere is electric. I have personally been their myself, highly recommend if you can get tickets for the festival do, you won’t regret it. The Beaches are some of the best around Ireland no matter what time of the year you visit. Donegal Adventure Centre- Home to Ireland’s largest Surf School- Enjoy a variety of outdoor activities. Explore the famous fairy bridges and wishing chair located near Tullan Strand beach. Sea Session: One of the best small music festivals that take place in the Country. Amusements: You can’t come to a seaside resort and not spend some time having fun at the amusements and arcades. You’re never too old to enjoy the simple things. We have a whole Irish travel blog dedicated to Bundoran, where you can find out more on is history and unmissable things to see and do. A must-visit when visiting Ireland is to explore the City of Culture that is Derry City. Derry is an amazing place that has become world famous for its amazing Halloween festivities and displays that the city organises each year. It is also the second largest city in Northern Ireland after Belfast. Referred by many as the Maiden City due to its high walls that have never been taken down. Derry is an incredible place to spend your time in Ireland with a wealth of history and culture to offer those visiting. Walk around the 17th-century city wall that offers an interesting history and cultural scenery for you to check out. Take a trip to Columb’s Cathedral that dates back to the mid-1600s. Peace Bridge offers an incredible history around peace in Derry and Northern Ireland. Explore one of the notable buildings in Derry that is Guildhall. We have a whole Irish travel blog dedicated to Derry and County Derry, where you can find out more about its history, cultural and unmissable things to see and do. No one comes to Ireland without visiting the Captial City of Ireland. Dublin is one of the biggest highlights when coming to Ireland. It is one of the most modern and cosmopolitan cities you’ll find in Ireland. Dublin ticks ever travellers dreams as its got culture, amazing food and drink, history, literature and plenty of sightseeing all in one place. Take a visit to Kilmainham Gaol; The former prison turned museum that’s deeply rooted in history. Explore one of Ireland’s largest enclosed urban parks that is Phoenix Park, where you will even find Dublin Zoo located. You can’t visit Dublin without taking a trip to the Guinness Storehouse; one of the cities biggest attraction. A tour around the factory is an amazing experience. Enjoy a drink at one of Dublin’s most iconic bar, the Temple Bar. The bar offers a great atmosphere and where you’ll find many other travellers. We have a whole Irish travel blog dedicated to Dublin City, where you can find out more about its history, cultural and unmissable things to see and do. Next on the list is a place that you might not know much about but we recommend you adding Connemara to your Irish travel adventure. Connemara is an exciting new destination you must explore. Connemara offers a strong tradition of Irish culture where you’ll come across many interesting attractions in a beautiful environment. Take time to check out the Connemara Heritage and History Centre, the award-winning centre explores the interesting history of this part of Western Ireland. A great attraction is the Clifden Castle that looks over the beautiful Clifden Bay. The castle is steep in history worth exploring. Visit the beautiful Connemara National Park that offers a variety of things to do from walking trails to interesting exhibitions. There is greenery everywhere in Connemara, it’s a great place to drive around and experience the natural beauty of the landscape. Another worthy castle to check when here is the Aughnanure Castle. One of the great examples of a well-maintained Irish tower that has an interesting history. We have a whole Irish travel blog dedicated to Connemara, where you can find out more about its history, cultural and unmissable things to see and do. Belfast is another great city in Northern Ireland that you will have most like heard all about. Many people when thinking about Belfast will think of the turbulent history connected with the city. But today Belfast offers more than just its past. It is a modern and vibrant city that has so much to offer those choosing to visit. Belfast is a place to visit if you’re looking to have a good time and experience some amazing attractions. The hotspot in Belfast is the Cathedral Quarter, one of the liveliest areas in Belfast where you can enjoy a great selection of bars and restaurants. A trip to Belfast wouldn’t be complete with a visit to the much loved St. Georges Market; The oldest market in Northern Ireland. Experience the award-winning Titanic Museum where you can learn all about the incredible story of the Titanic. The Big Fish is an incredible 33ft piece of art located at the river Lagan. The sculpture is a huge part of the city. Each image and text on the art display relates to a piece of Belfast History. The biggest free attraction in Belfast is the Peace Walls found around the city. It offers an insight into the Belfast Past. We hope this Irish travel blog guide will help you plan your Irish adventure, offering you a guide to the best places and attractions to add on your Irish bucket list. What we haven’t covered here you’ll be sure to find somewhere in our site. There’s not much we haven’t covered when it comes to Ireland.